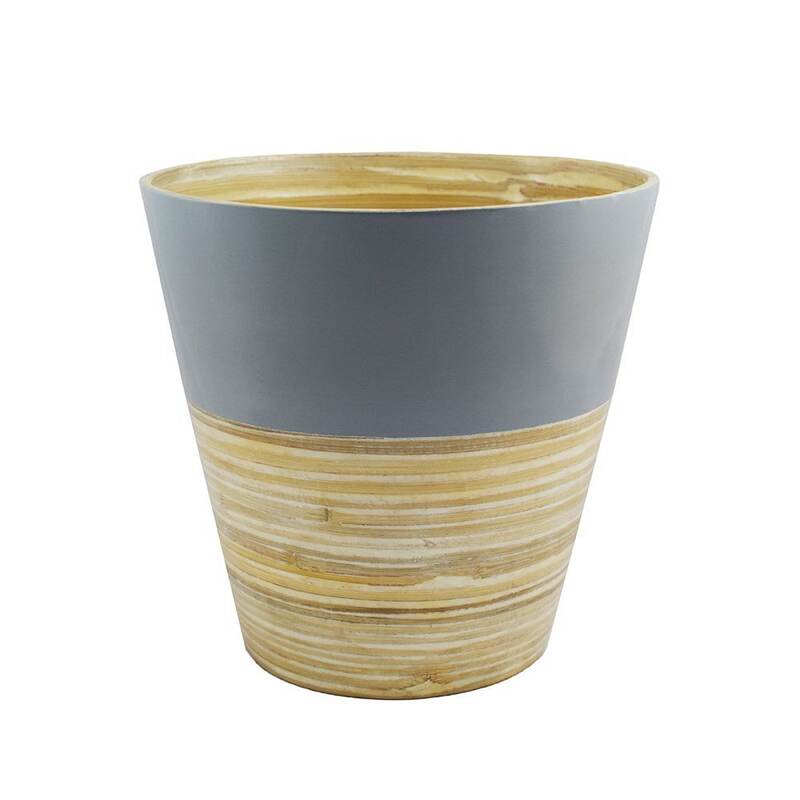 Handmade light and sturdy bamboo pot with a natural and grey finish. 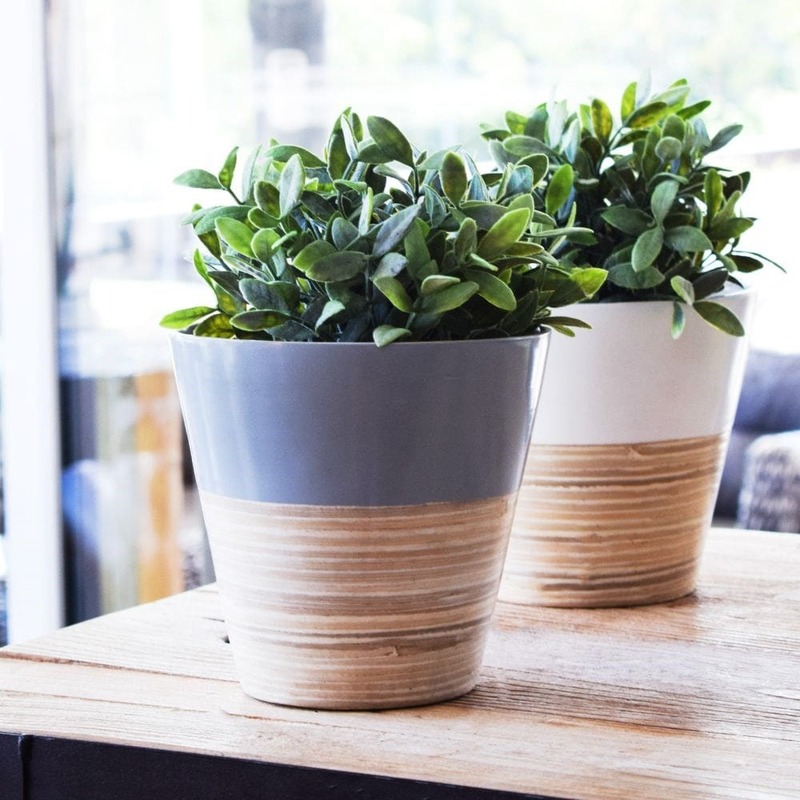 Waterproof and supplied without drainage holes for use as an indoor pot cover. Available in a choice of sizes.